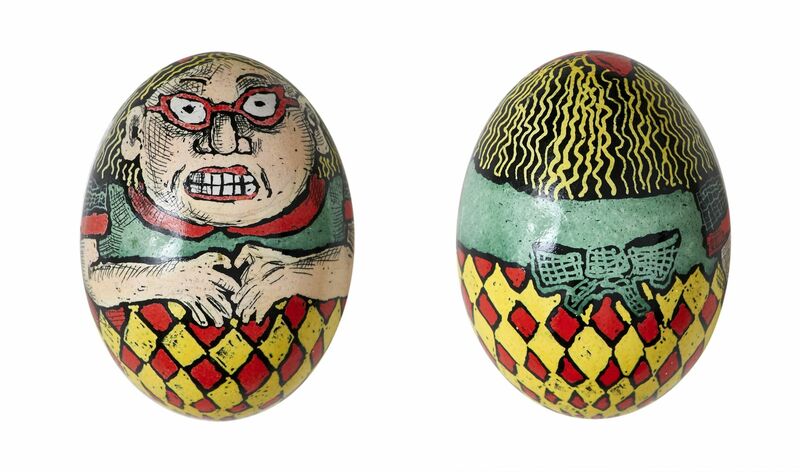 Roz Chast does excellent work on paper—and sure enough, her latest memoir, Can’t We Talk About Something More Pleasant?, has just won a National Book Critics Circle Award—but I think her real medium is the egg. She’s been doing great things with pysanky (i.e. 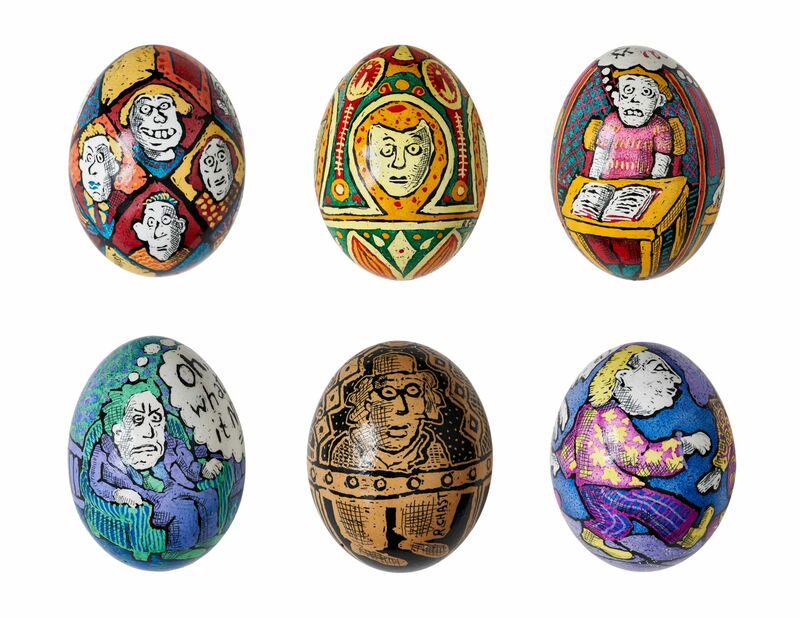 Ukrainian painted eggs) for at least a decade. Her latest efforts will be on display, along with her cartoons and her work in textiles, at Danese Corey Gallery starting this Friday. many of her eggs play pretty sophisticated games with perspective and space. One depicts people sitting in a subway car that has no beginning or end. Another shows five reclining bodies, floating dreamily against the indigo depths of a starry sky … the technique heightens a gently philosophical undercurrent that is only vaguely hinted at in the cartoon drawings. 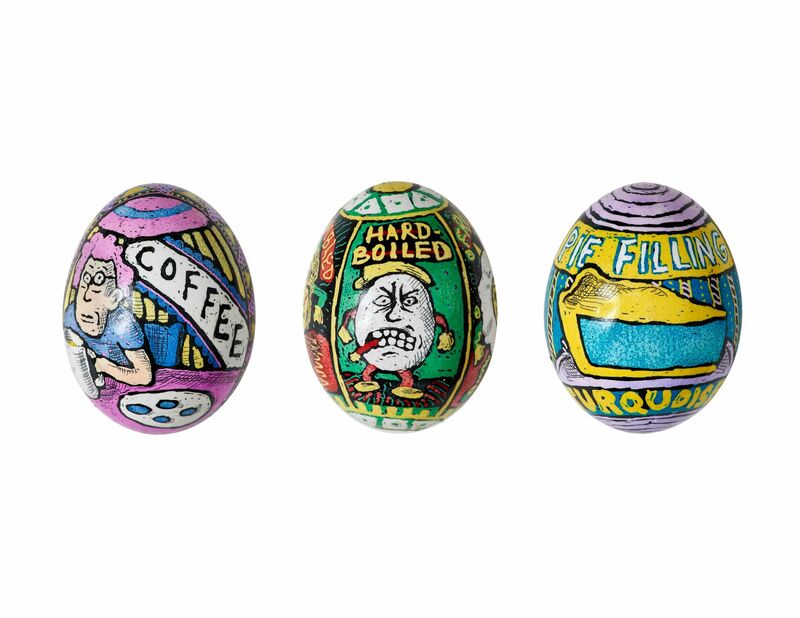 Chast’s pysanky are on display through April 18.